Film Festival Alliance is a non-profit networking organization that develops and fosters collaboration amongst mission-driven film festivals across North America. FFA offers resources to strengthen our industry, advocates for a sustainable, inclusive and collaborative environment, and creates a powerful collective voice for film festivals and the people who run them. FFA members come from 42 U.S. States, Puerto Rico, Washington D.C., and Canada. Organizations with an annual budget above $1million make up 6% of our membership, Organizations with an annual budget above $500k make up 9% of our membership, Organizations with an annual budget below $499k make up 66% of our membership Individual Festival Professionals make up 19% of our membership. 94% of our members are non-profit organizations, and the average operating budget is $283,000. The average festival employs 1.8 full time staff, 11 paid seasonal staff, appreciates 118 volunteers, and has an annual attendance of 10,100 cinema lovers. 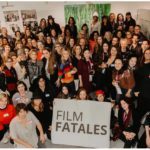 The average festival screened 117 films, 50% of which were directed by women, and welcomed 30 filmmakers to their event. 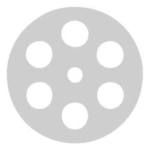 Spotlight Cinema Networks is a sponsor of the Film Festival Alliance and has launched the Spotlight Support Program as an exclusive FFA film festival member benefit. Spotlight offers an ancillary revenue generating opportunity for U.S. Film Festival Alliance Organizational Members. 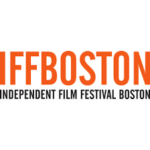 The Spotlight Support Program is a great way for festivals to generate self-earned revenue by leveraging unused/underused screen time during their film festivals. Sign up here. Subscribe to the free newsletter for updates news, events, etc.